Your product range is expanding, your workforce is growing, and yet you find your warehouse staying the same size. What do you do? Instinctively, a lot of warehouse managers would start looking elsewhere. Growth is a natural part of any businesses, and most managers would take an increase in products and staff as a sign to move into a bigger warehouse elsewhere. Figure out how much ‘headroom’ you have. The first step in beginning to use your vertical storage space is to understand exactly how much of it you have to work with. 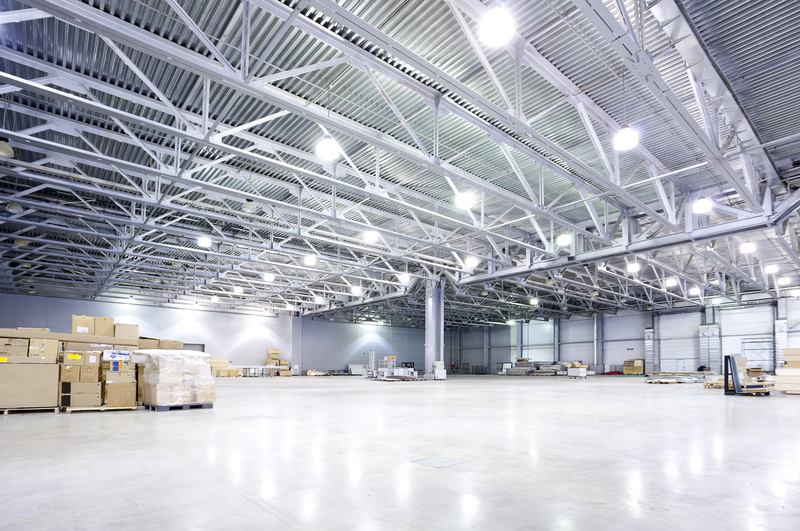 Review your floor plan, the storage you’re already using, and the overall dimensions and layout of your warehouse to identify areas for potential upwards growth. Review your current inventory levels to see what can be moved. One of the only disadvantages to using more vertical storage is that it may make some items harder to access, but in many cases it’s worth the effort to free up room for more consistently-selling items. Review your inventory to identify items that are heavier, harder to store, slower-selling, or some combination of the three to start finding items that can be stored in your new, more vertical system. Look into what new storage you’ll need. Depending on the design and layout of your warehouse, the sort of storage you’ll need to bring in will depend on a lot of things. Do you have a lot of bulk storage that needs additional, taller pallet racks to hang onto? Can you expand your current wire shelving to make it taller? In facilities with a lot of extra room, can you add a mezzanine to increase the amount of floor space you have as well? Before committing to any one solution, weigh your options carefully – if you spend a lot of money replacing the shelving you just brought in, it kind of defeats the purpose of renovating your current warehouse space. Make sure any of your renovations are up to code. There’s a lot of safety restrictions, requirements, and building codes that go into any major warehouse change. Adding some extra shelves is one thing, but it’s entirely possible that any bigger changes will need to be approved by a local governing body to ensure they’re up to local building codes. Carefully review any changes you plan on making to make sure they match the local facility requirements – the consequences could be costly. Stay mindful of your future needs. Once you get into a groove of overhauling your storage to free up more space, the temptation may be there to roll through and overhaul/reorganize everything. It’s always good to be motivated, but the truth is that doing too many renovations at once might cause problems when you identify future needs for storage and organization. Leave some room and time aside for your future needs and just remember to be flexible with changes.